At the end of the long Napoleonic wars, two career soldiers struggle to come to terms with civilian life. In the first book, my hero is tormented by a terrible incident in his past, and seeks to quiet his own demons by helping a French artist uncover the true story behind her own history. In the second book my very bored Scottish hero relishes the challenge of a mission which sends him to Spain, and a very unexpected encounter with a beautiful rebel he spent one memorable night with. 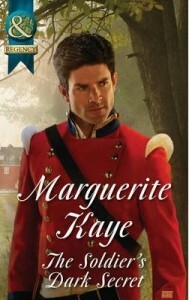 Seduced by the Soldier is the free on-line read prequel to this series. You can read it here. 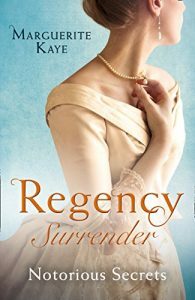 The Comrades in Arms duet is also available in the UK in one anthology, Regency Surrender – Notorious Secrets.